The usual carry-on luggage capacity is fine when you are traveling to a place, however, it often falls short during your return journey because then you have a number of additional items in your bag. 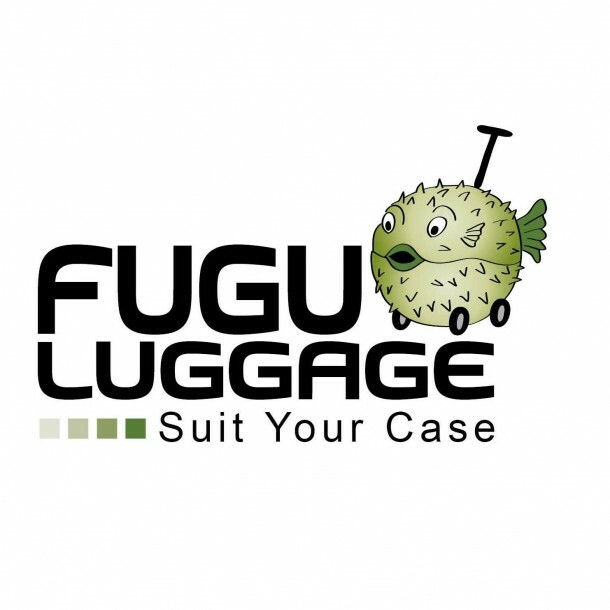 Say hello to Fugu Luggage that will eliminate the need for an extra suitcase to help you with carrying all the extra stuff back to home. 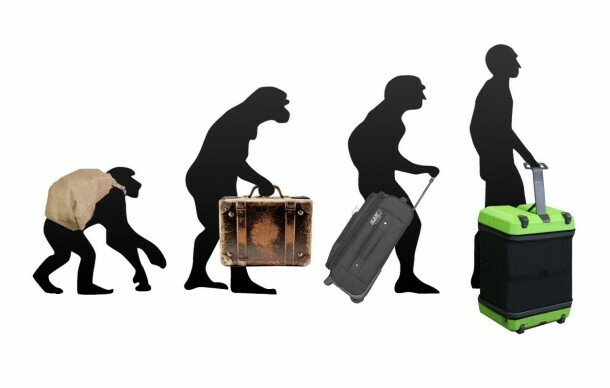 Fugu Luggage is capable of transforming from a maximum carry-on size to a maximum check-in size suitcase within minutes. Named after the pufferfish (Fugu), the bag can transform between different carrying capacity sizes thanks to the side walls similar to accordion. 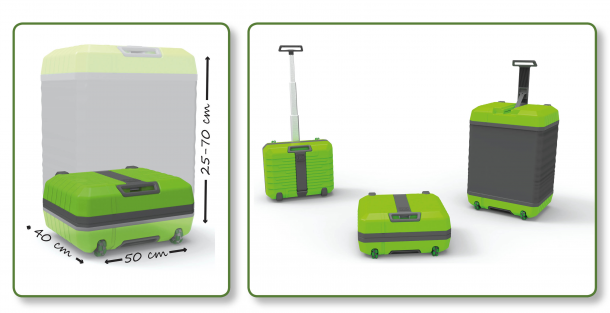 The case measures 55 cm wide, 35 cm deep and 23 cm high with a volume of 40 L to comply with the limitations imposed by airlines for maximum carry-on size. Fugu can extend to a height of 68 cm with a volume of 120 L. It weighs 4 kg, which is about the same as the average sized luggage. For the conversion to begin, the user has to inflate the suitcase walls that have been manufactured with drop stich – a rugged PVC material found in inflatable boats. The inflation can be carried out in a number of ways; one could use the electric pump, an external pump (part of the package) or make use of the power of lungs to breathe in the air through an external tube. The built-in pump is also capable of deflating any vacuum bags to reduce the volume of clothing during packing. We all know your belongings need to be protected when they are inside the luggage and fear not, for this aspect has been dealt with as well. The Fugu team has claimed that the drop stitch walls are strong enough to take a beating and even the top and bottom of the case can withstand impacts thanks to the ABS plastic they have been made from. The case is waterproof and passed the altitude drop test with flying colors. The case is equipped with removable shelves that turn the bag into a storage unit, allowing the users to live out of the suitcase without going through the trouble of unpacking and packing to and from a hotel closet. The fully extended height of the case makes it a favorable choice to be used as a table or laptop stand. Fugu also contains an optional laptop case that can be removed if required. It comes with omni multi-directional wheels to assist in easy dragging of the case.